I'm pretty sure it bypasses the reverse lockout collar. ...you'll need to remove your reverse lockout collar and use a threaded collar to keep the reverse cable clamped in the "disabled" position. I can provide instructions, it's not too difficult. @SpeedyCrab12 - @Habious is right, you'll need to remove your reverse lockout as the cable protrudes above the plate. In addition to looking unsightly, it prevents the rod from moving into the gates. I really don't know why Lotus put a lockout in place given that there is a resistance hill to go into reverse. Without the lockout, it's the exact same setup as what Porsche does. Greg & I are working on a more elegant way to defeat the reverse lockout, right now I just clamp the cable and tuck it out of the way but it may be possible to remove the cable as well. Ease of install/reversibility is definitely a priority for me, which was why I went with the clamp method for the reverse lockout and the plate itself, instead of drilling holes in the tunnel. shay2nak and GregsRaceParts like this. Last edited by Varun916; 03-07-2019 at 02:24 PM. Thanks to @PeteB37 for some great feedback on the V4 prototype! He has a leather covered tunnel, which is a good data point as I expect covered tunnels to be pretty common. The good news is that overall gear/gate positions seem to be pretty good, though a few of the gates ended up being short for Pete. I'm working on reducing the inner plate diameter and extending some of the gates to help with tunnel variability - covered tunnels will naturally have smaller openings. Quick update on this - we've had another rev since last week, which allows for more placement options, and we've added another tester. Waiting for the latest rev to go out and get feedback from our testers, but we're getting closer to an aluminum version! Pete had the great idea of just using zip ties to defeat the reverse lockout, works like a charm, and simple. I'm also looking into ideas for hiding some of the wiring & other stuff down inside the tunnel - it's not exactly pleasant to look at. Can’t wait! Looking forward to it. Got my Beta version 2.0 yesterday. Unfortunately, I'm really busy with other stuff this weekend, so I don't know if I'll have any time to get it installed. Some eye candy...even though it's plastic, it doesn't look too shabby! I never realized how tall our shifter rods were until now. shay2nak, rb26dett, 2011 chrome orange and 2 others like this. Amazing thread and work, great job! Wow love the look with CF!!! . Can’t wait for this to be done. Really excited to see this in its final form! Count me in for an aluminum one once it's done! I'm a new beta tester, with my 2011 Elise. Just got my test unit yesterday. So cool! Plan on installing it this weekend, and will update as I go. Stock shifter, stock leather shifter tunnel. great mod! with the material being metal it might replicate the gated ferrari "cling" shifting sound. 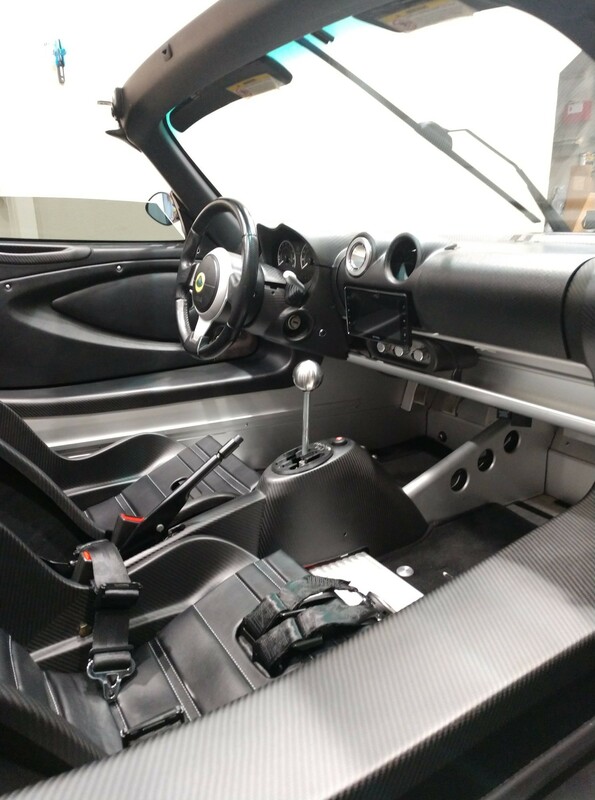 Drove my Elise to work today with the Beta Version 2.0 shifter plate installed. Although, it wasn't exactly a spirited drive in rush hour traffic, it work well. What are the plans for the final version? Interior matching aluminum? Will the slots be numbered? Will it have the lotus logo? Maybe have these be options? When I started the project I'd wanted a brushed aluminum one for myself, unsure if matching the stock satin is possible, though @GregsRaceParts might be able to chime in here. Greg had talked about possible anodizing options as well. Maybe I'll post a couple of plate shapes that'd accommodate gear numbers this weekend to see what people like. This is off topic, but what seats do you have in there? 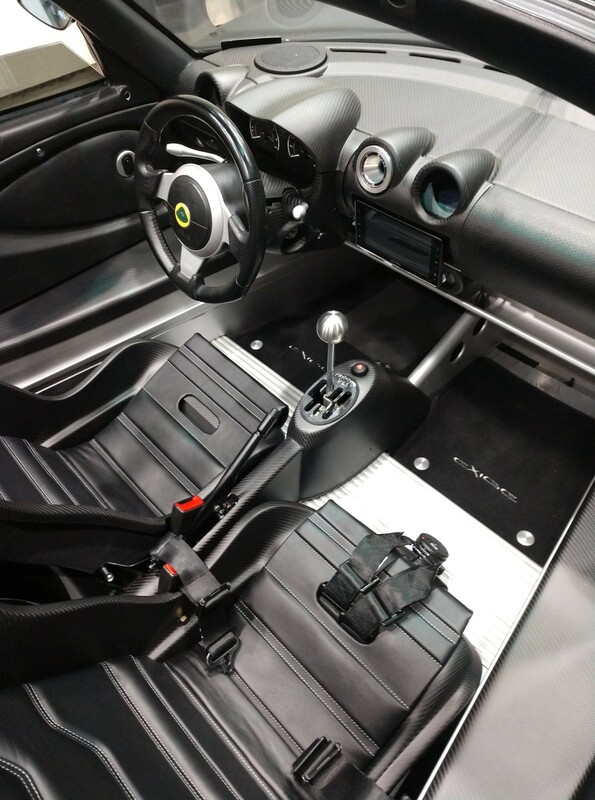 Matte carbon interior pieces always look so nice. Last edited by Varun916; 03-22-2019 at 09:29 AM.